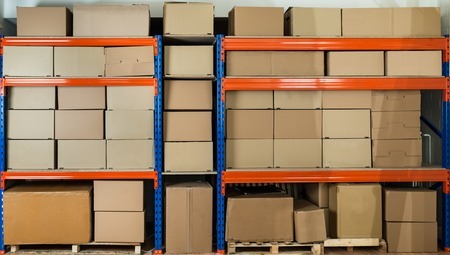 The Signs of a Poorly Run Warehouse | Affiliated Warehouse Companies Inc.
Posted March 28, 2019 & filed under Miscellaneous. What are some signs of a poorly run warehouse? Next, think about how the inventory is kept– does it make sense or not? For instance, does everything seem to have its specific, labelled place, or not? Logistically, can people and machines move around the warehouse in a smart and efficient way, or not? If a receiving crew takes a bunch of stuff off a truck and just dumps it on the floor, haphazardly, and it stays there for more than a day, not being put where it should go, then you’ve got a poorly run warehouse. If people want to find something but can’t because “no one knows where it went,” then you’ve got a poorly run place. Warehouses need to be planned well, such that everything has its place, and “where things are” make sense to even outside visitors who visit! Warehouses that run out of room oftentimes don’t have anyone planning where things “should” go and/or they make poor use of their space– not good. Finally, you can tell a warehouse is poorly run if receiving fails to immediately put away items into inventory. Someone on one shift thinks they can leave the stuff for someone on another shift to deal with… and guess what? You’ve got a cluttered area that totally puts a halt to efficient operations. Worse yet is when trailers are loaded with items and stuck at the dock because everything is “backed up” a couple hours. If you need help finding organized, well-run warehouses, learn how Affiliated Warehouse Companies can help.